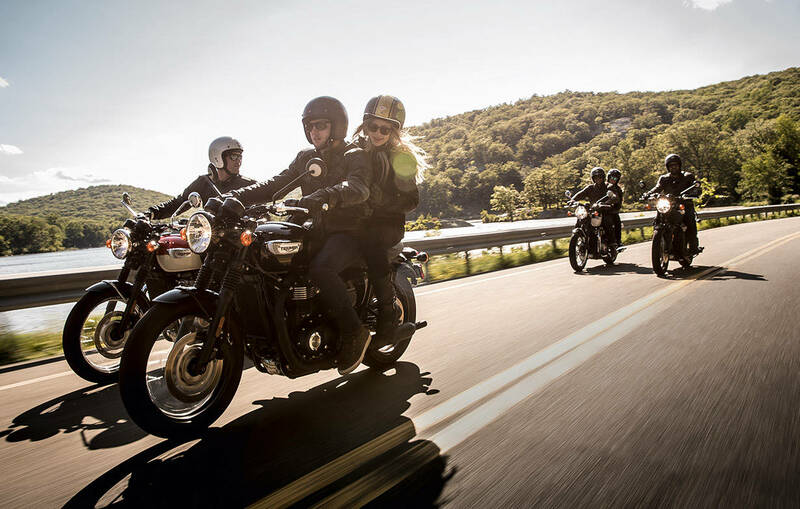 With the riding season just ahead, a brand new motorcycle might be on your mind and the latest range from Triumph has several new bikes to choose from, including the all-new critically acclaimed Speed Twin. 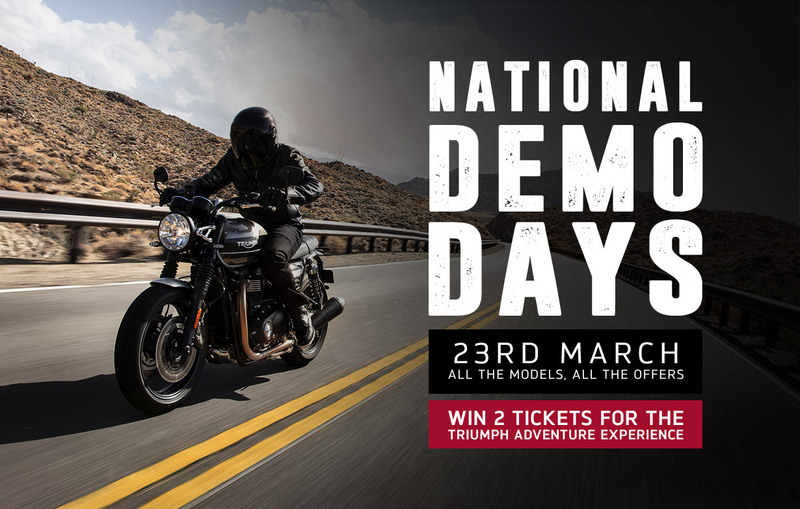 Get down to our dealership this Saturday 23rd March and demo ride your model of choice, and be in for a chance of winning a pair of tickets to the Triumph Adventure Experience. Celebrate the exciting and versatile range of bikes that Triumph has to offer, including the brand new Scrambler 1200 and Speed Twin models, which will be available for fans to test ride as part of the demo weekend. For 2019, the all-new Speed Twin re-introduces the renowned Triumph name to the Modern Classics line-up. With class-leading handling, advanced rider technology and cutting-edge roadster performance and feel, the Speed Twin fully justifies its position as Triumph’s new performance icon. Triumph’s Scrambler 1200 line-up delivers an unrivalled level of performance, specification and finish. Fused with Triumph’s iconic Scrambler DNA it has all of the capability of a genuine adventure motorcycle. The Scrambler 1200 XE will also be available to ride at the Triumph Adventure Experience alongside Triumph’s latest Tiger range and Bonneville Street Scrambler. Experience all the thrills of off-road riding with a whole range of immersive and fun riding experiences designed for riders to build or enhance their off-road capability and skills. Catering for all abilities, from absolute beginners to advanced off-roaders. 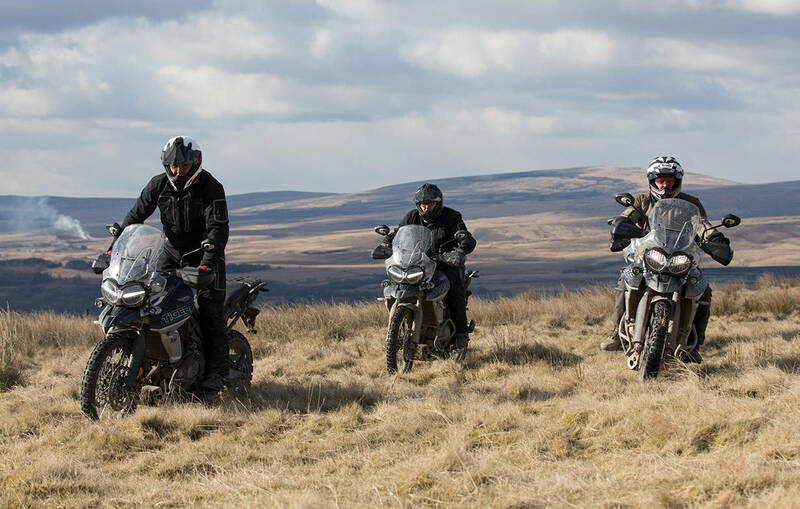 Located in South Wales at the foot of the Brecon Beacons, you’ll have lots of unforgettable riding experiences on dramatic natural terrain and stunning scenery with 360 degree views riding the latest generation of Triumph Tiger and Bonneville Street Scrambler motorcycles. Advice and guidance is provided from an experienced team of instructors who will maximise your skills and techniques from start to finish.